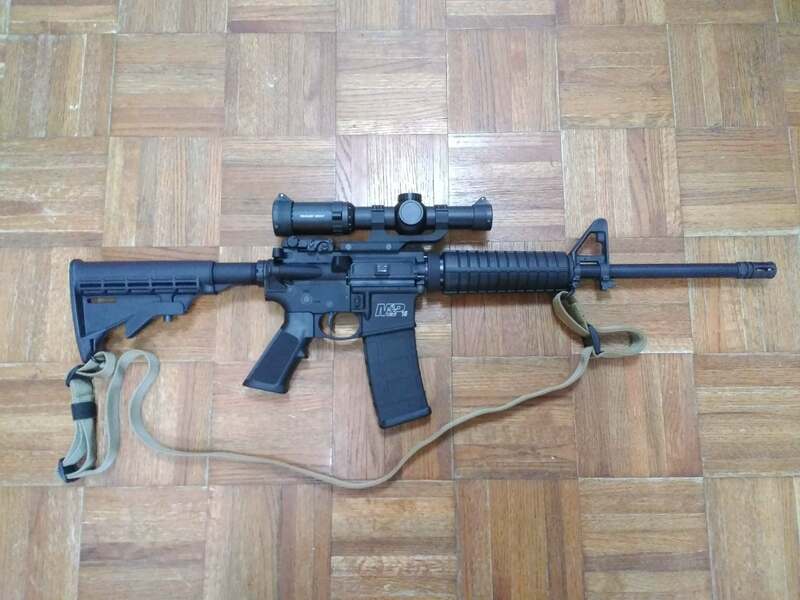 Does This AR Custom Build Look Okay? 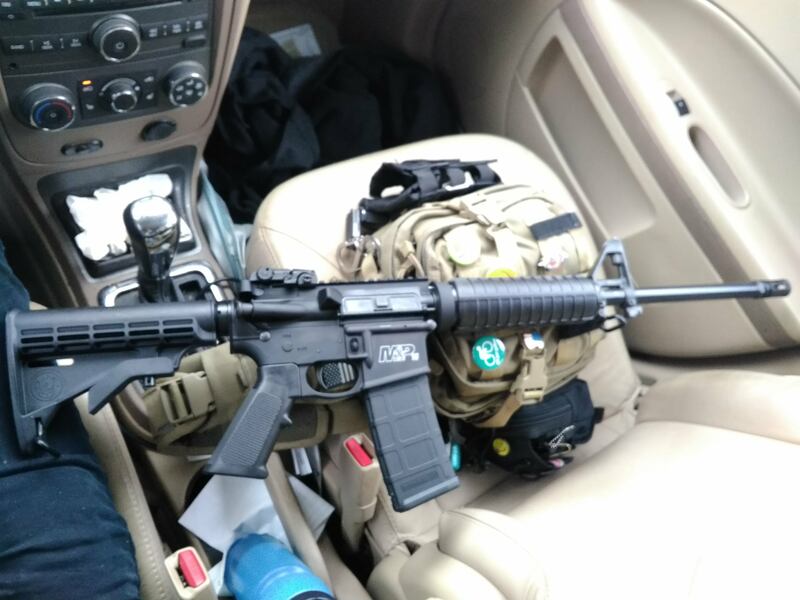 Re: Does This AR Custom Build Look Okay? Congratulations! You now are completely gone under the spell of the black rifle. carlson1 wrote: Congratulations! You now are completely gone under the spell of the black rifle. Or maybe flat dark earth? I haven't decided yet. But yes! It' bewitchingly black as it sits. Two hours to go and run outta here like a...traumatized ape! You should inspect, clean, and lube before you shoot it. 1911 Raptor wrote: You should inspect, clean, and lube before you shoot it. Thanks for the advice! As much as it pains me to wait, I plan to clean it up tonight and get familiar with how it operates. Is it okay to dry fire these things without snap-caps? Dry firing is safe as long as it's fully assembled. Don't do it with the upper taken off. ARs are easy to learn. I recommend you get an AR chamber brush too. SQLGeek wrote: For that price I'd rather buy an S&W or a Ruger. They haven't been perfect but I'd trust either of those over PSA's spotty reputation. Of course that doesn't include an optic but Ruger AR-556s are running pretty cheap these days. Just a basic carbine. Any one of the above is a good entry level carbine for the same price as the rifle you’re looking at, and they have a milspec lower rather than a polymer lower receiver. Although, of those three, I’d go for the Ruger for the simple reason that it includes front and rear iron sights. It’s worth noting that both the Ruger and S&W have enlarged trigger guards to accommodate gloved fingers. 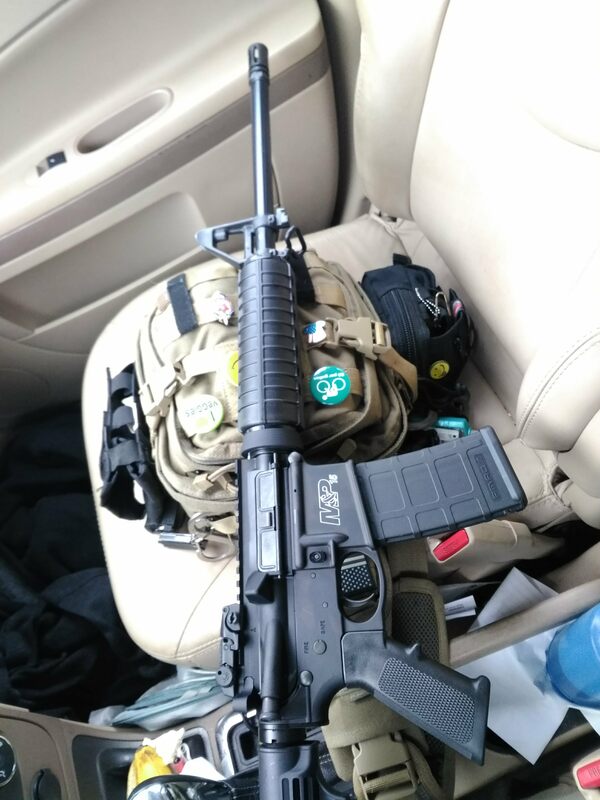 I just got the DPMS last week at grabagun for $389. I believe they are still showing it for that today. The Annoyed Man wrote: OK...... your FIRST purchase after you buy the gun: 1000 rounds of ammo, either 55 grain FMJ or 62 grain FMJ. Okay, so I am the proud owner of a S&W Sport II! Big and HUGE kudos to Nagel's guns here in San Antonio! They didn't shoot me..lol. Fast Eddie there hooked me up, and never once showed any sign of being annoyed. And they don't work on commission either. I bought 100 rounds of Geco 55 grain FMJ ammo for $21.95 a box. More to follow for sure. The rifle was bought with embezzled(from my wife and I's budget) and gift money. Ammo is a consumable like gas and groceries..lol. So that came out of the budget. I could only justify 100 rounds for the time being. It's bad enough I just dropped around $50 on 9mm ammo earlier this week. And bought a gun belt. But hey...belts are CLOTHING!..lol. A tip for you single guys, buy your toys before you even consider getting married! Wives cost. And wives mean kids. And kids really cost! They're great though, I wouldn't change a thing. I've shot tons of "virtual" ammo in video games with the kids. Come on 5:00pm, it's Friday! Congratulations! I believe you will enjoy the Sport II. You're gonna need more ammo, lots more ammo! I took the Sport out for a quick spin today. All I can say is, I'm happy with it! Content with what my $500 bought me. The build and quality feel nice. Not like a budget rifle at all. Everything feels tight except the buttstock. Which will get replaced anyways. I've had a few rifles, but never attempted long range accurate shots before. The closest I've gotten is a .22 pellet rifle!..lol. So I was skeptical when I took it out. Thought I'd need at least 50 rounds to adjust the sights. Assuming I could group my shots. I was shooting in my back yard/field from the top of a cistern. Ran back and forth trying to find the ladder. Brought one that was too short and had to carry it back to the garage. Time was running short, the wind was picking up. And black clouds rolling threatening rain! It blew my box/target over and I even got on the cistern and realized I forgot my headphones. Climbed down, ran into the house. Back and forth, back and forth and running out of time. Got back up, and I couldn't really see my target. It's a standard target like the one used in CHL licensing. But printed on an 11X17 sheet of paper. So, I only get out to the 8 ring. It was obscured by tall grass. I figured I'd just pump out a few rounds to make sure everything was working. Shot 10 rounds at 57 yards. It felt nice! Although, I was questioning how well that peep sight would work. Got off the cistern and discovered I had 7 rounds in the 10 ring. Two in the 9, and one flyer. Hey, don't laugh! And this is out of the box with no adjustments. I really feel this rifle justifies a scope. Overall, I'm a happy camper! Sounds like you were excited to try your new AR. I don't blame you. You did well to get the S&W. It's a solid rifle and I know you'll be pleased. You probably already know, but your cookie jar $$ will be impacted as you find "stuff" to add to your new black rifle. Before you get too carried away, save your brass. Next thing may be reloading. You made a great decision buying this instead of that Frankenstein from the original post. enjoy! Added the advice of TAM (The Annoyed Man) and added a Primary Arms 1X6 scope. Nice! During the day, the image is outstanding. At night, at 1X1 magnification I can see almost as much as with my naked eyes. Not bad for a total of $816.22. Granted, $40 of that is a gift card that can be used with a future purchase. Hey, like that's a problem! TAM mentioned that building your own is preferable. But for the impatient, this wasn't a bad route. I do have to admit, now that I have one in the stable, I'd really like to build my own. The AR design is truly a work of art. The more I research about it, the more I'm impressed. Why can't cars be manufactured with this kind of engineering design and detail? dino9832 wrote: TAM mentioned that building your own is preferable. But for the impatient, this wasn't a bad route. I do have to admit, now that I have one in the stable, I'd really like to build my own. The AR design is truly a work of art. The more I research about it, the more I'm impressed. Why can't cars be manufactured with this kind of engineering design and detail? Too true. 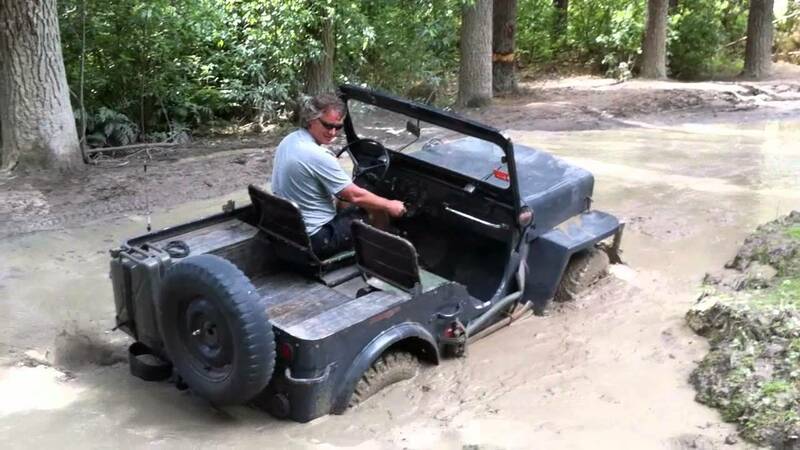 I had a dune buggy once. And a Baja bug after that. Gotta admit, the old VW's had a pretty decent design!